This page contains Illustration Software and Resources. Empower your creativity to achieve stunning results! CorelDRAW is a leading graphic design software enjoyed by millions worldwide. Whether you’re a graphics expert, first-time user, or a business producing in-house design, CorelDRAW Graphics Suite 2018 has the versatility to satisfy your creative needs. What are our passionate users saying? "It's more user-friendly, intuitive and more precise. It has more depth than anything else out there. That's what keeps me coming back." "I have been a fan of CorelDraw since version 2.0! I love the product, and the improvements just keep getting better! Thanks for a great product!" "CorelDRAW inspires me. It's a friend I’ve relied on for almost 20 years, and cannot do without it." Order now to unleash your creative potential with CorelDRAW Graphics Suite 2018! Create original sketches using your mouse or draw naturally with a pen tablet. Use an assortment of powerful art tools for illustrations, comic and manga creation that will help maximize your workflow. 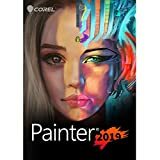 CLIP STUDIO PAINT, the leading comic and manga creation software worldwide developed by Celsys Inc., is your all-in-one solution for stunning, ready-to-publish illustrations, comics, manga and animations. Invigorate your artwork using realistic feeling sketching pencils and inking pens, fully customizable brushes and raster and vector colors. Easily express motion using speed lines, apply dimension with screen tones and add dialog through built-in word balloons. Animate your drawings and bring them to life. CLIP STUDIO PAINT helps you draw digital art from start to finish! PaintShop Pro 2019 is your user-centric alternative to Photoshop, with every feature inspired by user ideas. 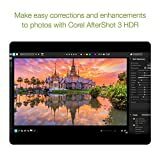 Make compelling compositions and photo adjustments, or create impactful design projects using a complete set of professional image editing tools. 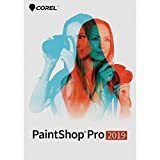 With creativity at its core, PaintShop Pro 2019 offers impressive new creative content and applies Artificial Intelligence and Deep Learning to deliver innovative new artistic presets. Thanks to community input, we’ve made over 50 performance improvements for faster photo editing, quicker cropping and better support, and we’ve focused on simplifying PaintShop Pro for the best possible experience. *Supported on 32-bit installations only. **WPG (WordPerfect Vector only) is not supported on 64-bit. WordPerfect Bitmap is supported on 64-bit. 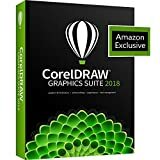 Upgrade now to unleash your creative potential with CorelDRAW Graphics Suite 2018! 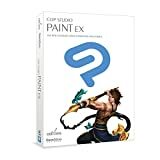 CLIP STUDIO PAINT EX is the world's leading comic and manga creation software and delivers powerful art tools for every manga and comic artist. It is designed both for artists wishing to enhance and perfect their pen and paper illustrations and for artists wishing to complete the entire process of creating manga and comics digitally. 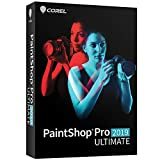 Complete for Creatives - Includes the latest versions of CorelDRAW, Corel PHOTO-PAINT, Corel Font Manager, Corel CONNECT, Corel CAPTURE, Corel AfterShot 3 HDR and the new CorelDRAW.app. Easy to Learn & Use - Get started with intuitive tools, learning materials, and sample projects. Also includes professional quality templates for quickly creating brochures, posters, cards, and more. 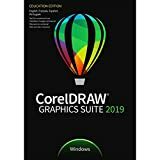 CorelDraw Graphics Suite 2019 for Windows - dare to design differently! Find all the professional vector illustration, layout, photo editing and design tools you need to work faster, smarter, and in more places with this superior graphic design software. Be in control. Manage your design journey and choose how you purchase. Enjoy premium capabilities developed for your platform-Windows or Mac-and work on the go with CorelDRAW.app. Be creative. Whether you're designing signage, logos, web graphics, or print projects, you'll enjoy unmatched customization and capabilities that complement your unique style. Be efficient. Maximize time efficiencies with a comprehensive suite of creative applications that couples intuitive tools with exceptional speed, power and performance. Use an assortment of comic and manga creation tools that will help maximize your workflow and help you create comic works composed of multiple pages. Pose 3D drawing figures included with CLIP STUDIO PAINT and use them as an inspirational basis for your work. Get $5 credit towards CLIP STUDIO Asset Store. 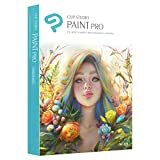 CLIP STUDIO PAINT, the leading comic and manga creation software worldwide developed by Celsys Inc., is your all-in-one solution for stunning, ready-to-publish illustrations, comics, manga and animations. Invigorate your artwork using realistic feeling sketching pencils and inking pens, fully customizable brushes and raster and vector colors. Easily express motion using speed lines, apply dimension with screen tones and add dialog through built-in word balloons. Animate your drawings and bring them to life. CLIP STUDIO PAINT helps you draw digital art from start to finish! 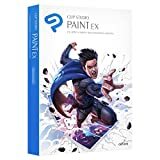 CLIP STUDIO PAINT EX includes exclusive features for comic book creation and animation.